Beryl Markham, like Karen Blixen, could only have come out of Africa. Pioneering aviatrix, flamboyant beauty, brilliant race-horse trainer, unscrupulous seducer - her life story is for every reader who was enthralled by Blixen's exotic world, that of Kenya between the wars. This fully authorised biography, drawn from the author's personal association with Beryl and her family, paints a vivid portrait of a tempestuous and controversial character. It tells of her friendship with Karen Blixen (though she commandeered Blixen's husband Bror and lover Denys Finch Hatton), of her spectacular courage when she became the first person to fly from England to America, and of the mysteries surrounding her highly praised, bestselling book WEST WITH THE NIGHT. 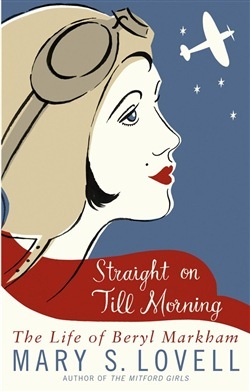 Acquista Straight On Till Morning in Epub: dopo aver letto l’ebook Straight On Till Morning di Mary S. Lovell ti invitiamo a lasciarci una Recensione qui sotto: sarà utile agli utenti che non abbiano ancora letto questo libro e che vogliano avere delle opinioni altrui. L’opinione su di un libro è molto soggettiva e per questo leggere eventuali recensioni negative non ci dovrà frenare dall’acquisto, anzi dovrà spingerci ad acquistare il libro in fretta per poter dire la nostra ed eventualmente smentire quanto commentato da altri, contribuendo ad arricchire più possibile i commenti e dare sempre più spunti di confronto al pubblico online.